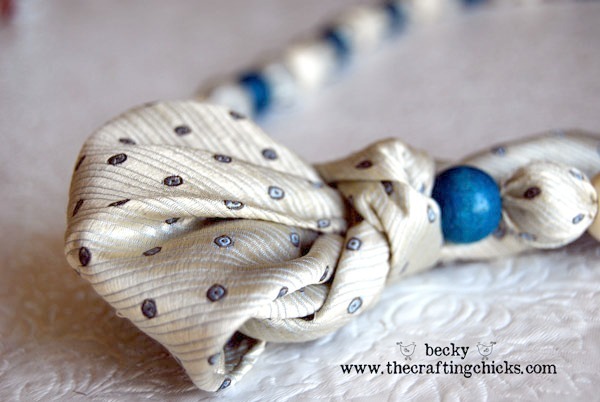 I’m so excited to share my fun Necktie Necklace redo with you today. I’ve had this one in my head for like 6 months just needing the time to get it together. Now that it’s been made let me tell you, it comes together really quick. 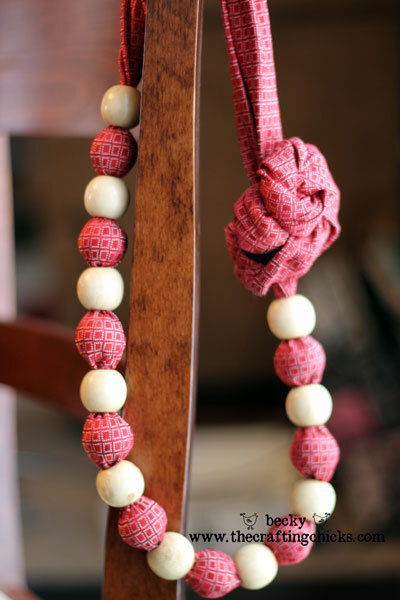 a man’s necktie, beads (I used wooden ones I bought at Hobby Lobby), a sewing machine, and an un-picker. My husband had this really nice necktie that had a big stain on it. I was super excited when I got permission to make something new out of this one. I began by unpicking the back stitches of the tie. Super easy cause there wasn’t too much to unpick. 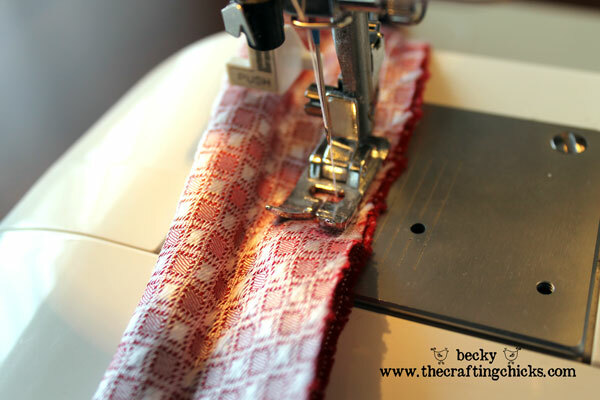 Once you have it all unpicked, you just want to remove the stiff material in the middle of the tie. 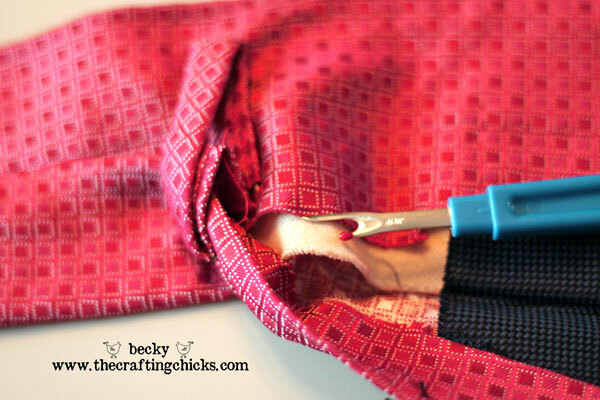 Fold the tie, right sides together and sew a straight line to make a tube. Put the material so the right side shows again. 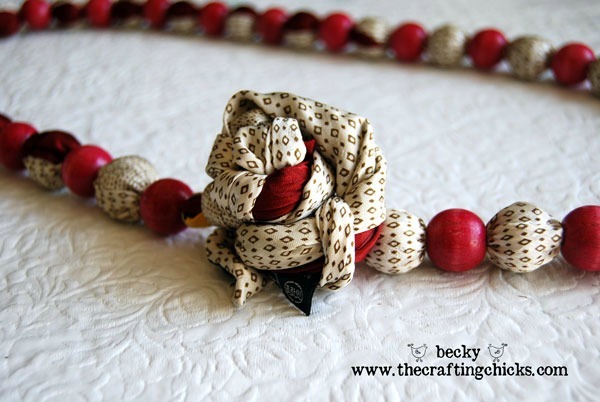 Grab your beads and thread the tie through one, and place the next bead inside the tube. Continue doing this until you have as many beads as you want. You are basically done! 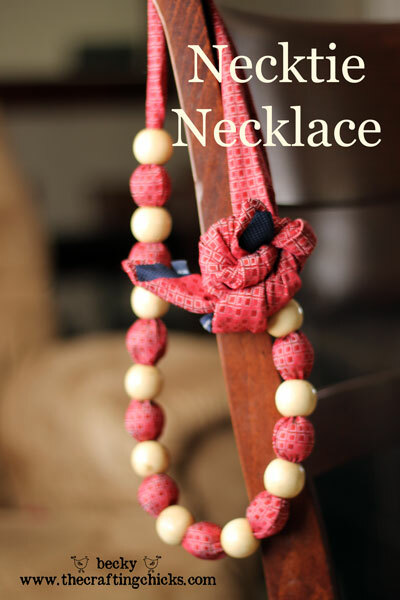 Now all you have to do it tie the necklace together. You can do this a bunch of fun ways. 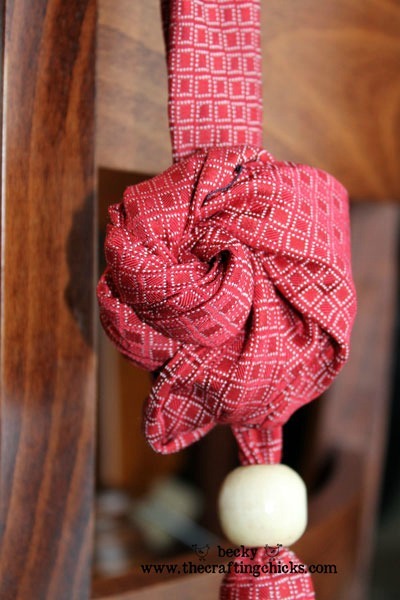 To make the rosette you will take both ends of the tie and twist them together into a circle shape. 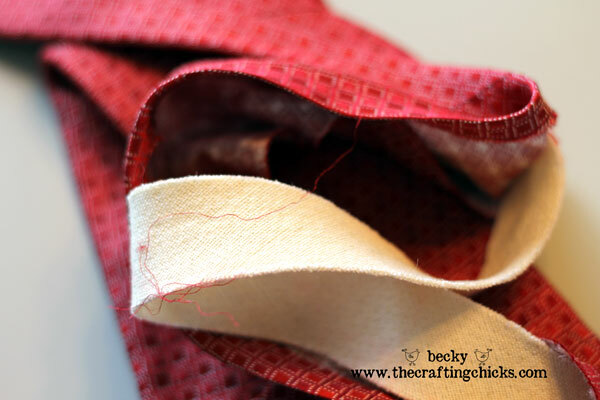 Then fold the ends back up through the bottom of the twisted circled you just made. 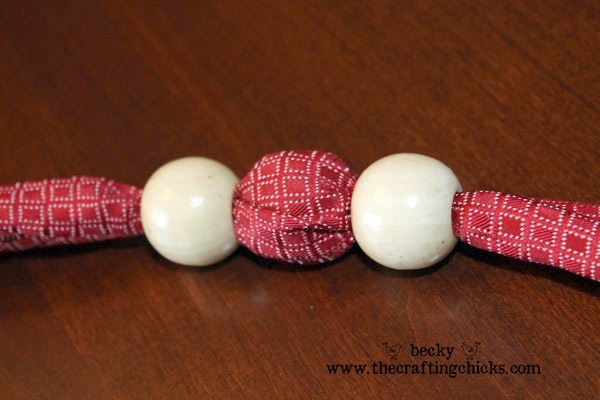 This one is made by making a loop with your ends and then wrapping the ends in a knot. You could also tie a bow or try something else. Add your own fun twist to it. This would be fun to wear especially on Fathers Day. I am going to try it. Seriously so cute and I think I could even make one. This is awesome! 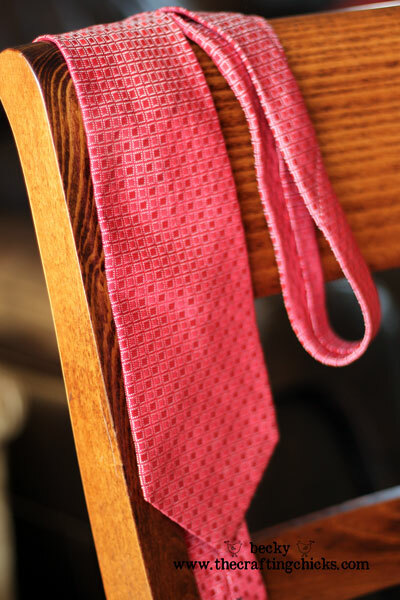 When my Dad died, I couldn’t throw away all his ties and have kept them all these years to do something special with them. This is it! I can’t thank you enough for the inspiration! What a neat idea!! I have tons of great ties my husband doesn’t use!!! Got to try this!!! These are so cute…I just had to try one for myself. They were super easy to do and I gave mine away as a b-day gift this week. Thanks for the fun project. I’m going to try this with one of my Dad’s ties. He passed away in September. It would be a great way to remember him. I just hope that I can do the rosettes. I actually found a way to tie the ends that I like better. I’ll have to upload a picture. You just take the ends and fold them together in a loop. Then you take the ends and wrap them around your loop, pull out the other side and you have a bow-tie looking shape on the end of your necklace. I LOVE it that way best! This is awesome! My hubby has so many unused ties for this! An “unpicker?” To the avid seamstress it is called a “ripper”. 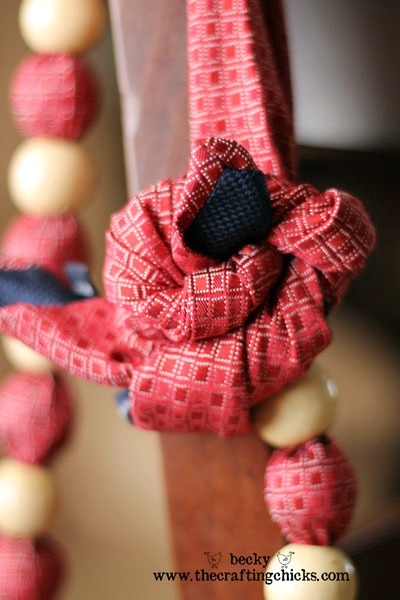 The idea is a wonderful way to use up old ties. Thank you for the idea. I love accessories, this necklace is beautiful, I need to do it.